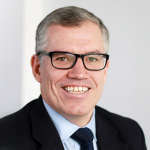 Ince & Co’s senior partner Jan Heuvels has stepped down just weeks after a wave of cuts in the firm’s London office saw 32 job losses. Veteran partner Peter Rogan, who was Ince’s senior partner between 2000 and 2008, has been named interim chairman of the firm’s board. Rogan will oversee the permanent appointment of Heuvels’ successor, in addition to the day-to-day running of the firm. Heuvels, who will continue working at the firm, had served as senior partner since 2015. Just last October, he relocated to Hong Kong to expand Ince’s Asia-based client relationships. Heuvels’ decision to stand down compounds a period of serious upheaval for Ince, with 25 business services staff and seven fee earners being let go in July. After the redundancies, the firm also said it was looking to sublet 22% of its 35,000sq ft floor space in Aldgate Tower. The firm also recorded a poor set of financial results for 2017/18, with overall revenues dipping 6% from £88.5m to £83.4m. In recent years, Ince has taken various measures to improve its performance, such as restructuring its partnership and creating a bonus remuneration pool which saw the top of equity jump from £430,000 to £550,000. Under Heuvels’ leadership, the firm opened offices in Marseille and Cologne and made significant investments in technology to promote agile working. More outward-facing but does new leadership have a message for Pinsents?